Apple News - The Apple, Android and Mobile Phone News is a News and downloads site for Apple, Android and Mobile Phones, We have all the latest emulators, hack, homebrew, commercial games and all the downloads on this site, the latest homebrew and releases, Part of the DCEmu Homebrew & Gaming Network. Microsoft is likely on the cusp of unveiling its first Windows 10 phones, which has left more than a few fans wondering why it hasn't posted a fresh preview version of Windows 10 Mobile in a while. Well, wonder no longer -- the company has released an updated preview build that not only fixes a number of key bugs, but introduces a big upgrade to the photo experience. Fire up the Photos app and you'll get a folder view that makes it easier to see what's in OneDrive or your phone's SD card. You can also mark photos as favorites, and navigating your gallery should be faster overall. Apple's iOS devices have long included apps that you're unlikely to use (do youreally need a stock tracker? ), and that list only seems to be getting longer. That's potentially a big problem, especially when the company is still shipping16GB flagship iPhones where every megabyte counts. However, there might be some relief in sight. In a chat with BuzzFeed News, CEO Tim Cook says that his company will eventually "figure out a way" for you to remove some of those apps. 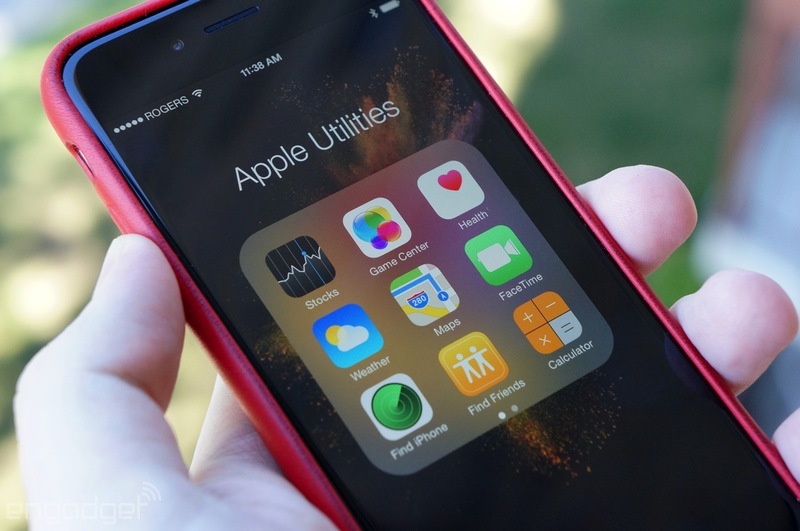 You won't get to yank all of them (that "might cause issues" with some device features, Cook says), but this could spare you from creating a folder for the bundled apps that would otherwise gather virtual dust. 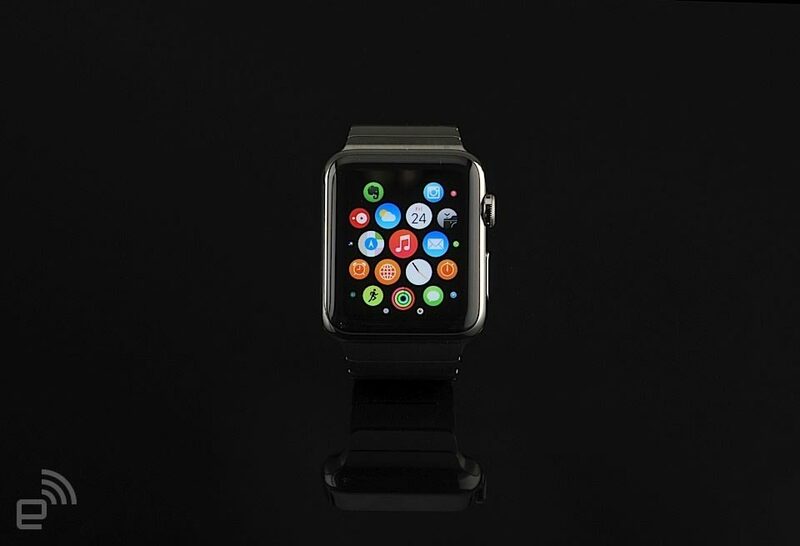 Apple has pushed back the launch of watchOS 2 because of a tricky bug, a spokesperson confirmed to TechCrunch. The new software was expected to hitApple Watches today, September 16th. "We have discovered a bug in development of watchOS 2 that is taking a bit longer to fix than we expected," an Apple spokesperson told TechCrunch. "We will not release watchOS 2 today but will shortly." As promised, the latest version of Apple's mobile operating system is now available for download. 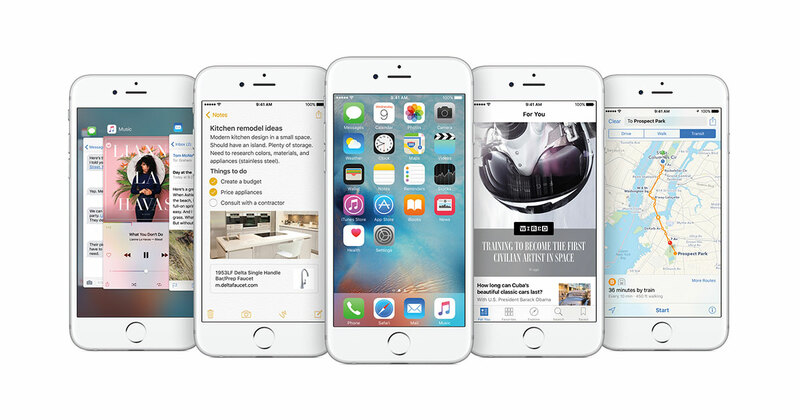 iOS 9 is yours for the taking, and with it comes an improved Siri, split-screen multitasking on the iPad, those newfangled Live Photos, transit info in Maps, News app and more. All of which will be welcome additions for folks who who didn't get an early peek during the public beta. If the update hasn't already hit your device, you can take a gander at our initial impressions while you wait. Can We Trust Apple To Make a Good Games Console? 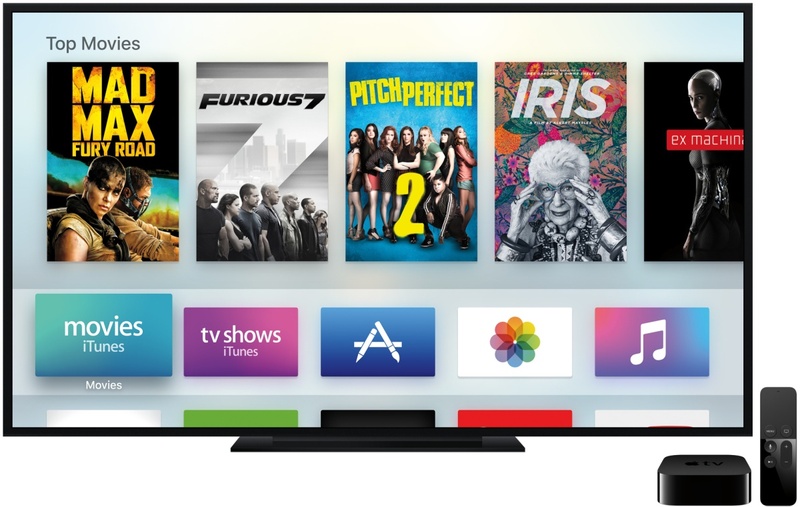 The Apple TV took center stage at the company's recent press event. It's getting its own operating system, better support for watching movies and listening to music, and full integration with Siri. All to be expected. But Apple is also pushing for the device to become a hub connecting mobile gaming with your TV. This article questions whether Apple has the chops to become a serious contender in living room gaming. Quoting: "[T]he subtext was clear: Apple thinks it can take on Nintendo for third place in the console market. The problem is, even while it's parading game developers on stage, it's still not clear if Apple actually wants to take on the console market. The inconsistency within the company when it comes to games is painful to see, and shows no sign of abating any time soon. ... The iPhone is the largest games store on the planet, and it's managed by a company whose attitude to the medium is 'go write a book.' That hasn't stopped magnificent art being made for Apple's platforms, but it has stopped some, such as Sweatshop HD, which was pulled from the app store in 2013." Sony seems determined on confusing its customers by giving very conflicting advice about its Xperia smartphones. If you're familiar with the range, you'll no doubt be aware of the advertising material that appears to show users taking photos in the rain and even (seemingly) underwater at the pool. Take a look at the picture above and you'd probably assume that a) it depicts someone shooting a video or taking a photo in a swimming pool, and b) you can do the same with your phone. But you'd be wrong (at least on b) because Sony has changed its mind about what waterproof means. Or it doesn't know. It really depends on where you look on the Sony website. Graphics expert Nvidia has via an (extremely polite yet also quite cutting) blog post questioned the gaming appeal of the new Apple TV box. “If you’re already an Apple TV user, we don’t necessarily expect you to run out and buy the new Apple TV,” it said. “While many of the features are impressive, the basic offerings may not justify the $200 price-tag over what you already own. “There’s a more important question however. Do you really want to be locked into that walled garden? “Deciding between Shield and the new Apple TV can be boiled down to one key question: Are you already deeply invested in one ecosystem over the other? If you already own an iPhone, Macbook, and an iPad you’re, probably a committed iOS user. But Android TV is inclusive and to that end, Shield also supports streaming from your current iOS devices. Nvidia even made an infographic and everything. Although it doesn’t mention Shield’s recent fire hazard recall scare. It will be interesting to see how sales of the Nvidia Shield and Apple TV compare. It's that magical time of year where adults sit awake at their computers in the middle of the night (or with an iDevice and the Apple Store app open) in an effort to snag the latest iPhones. Pre-orders have gone live for Cupertino's latest handsets, the 6s and 6s Plus, and if you're hoping to get one for that first-wave September 25th availability date you'd better act fast. After all, 3D Touch isn't going to wait around for everyone. So! Best to head over to Apple's website or the aforementioned mobile app and get to punching in your credit card info. The questions now are big or small; space grey, gold or rose gold and if you're going to go for Apple's Upgrade Program or not. Better make your mind up rather quick-like -- Fallout fans, at least, have one less decision to make. If you live in the UK and want to play with an Apple Watch, you have two options at the moment: Walk into an Apple Store, or find someone that already owns one. For many, the latter isn't an option, and the former can be an unpleasant experience after a couple of new iPhones have gone on sale. Luckily, you'll soon have an alternative in the form of John Lewis. A "curated selection" will be available in 37 of its 44 department stores from September 18th -- a further four shops will be added before the end of the year, the company claims. Apple offers a wide variety of Watch combinations, so while the limited choice might sound a little disappointing, it's also not surprising. John Lewis will presumably focus on the more popular configurations -- so if you want something unusual, you'll still need to order online or walk into an Apple Store. Currys and PC World will also be offering the smartwatch soon, but there's an advantage to shopping with John Lewis -- the company will give you a two-year guarantee, which is double Apple's standard UK warranty. You can use Microsoft's Cortana voice assistant on Android right now, but it's not really integrated with Android. There's only so much the developers can do when they don't control the operating system. 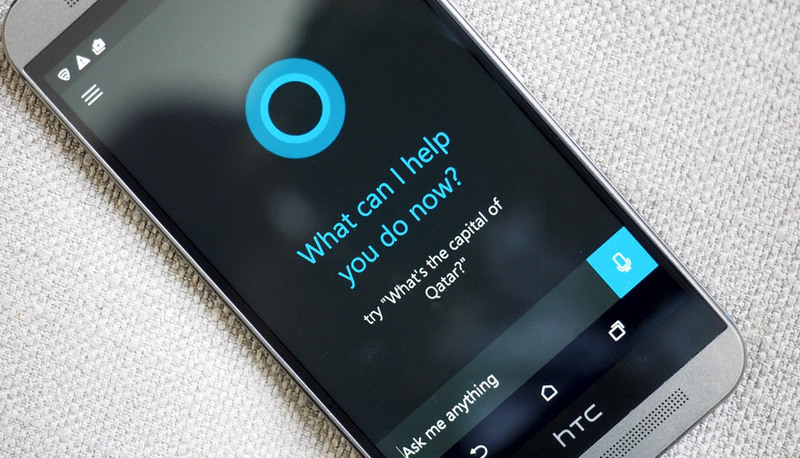 If Cyanogen has its way, though, you'll soon see what Cortana can do when the gloves are off. The company hasrevealed that it's working with Microsoft to integrate Cortana into Cyanogen's custom version of Android, kicking Google's own voice control to the curb. It's not clear exactly how this will compare to the assistant on other platforms, but Cyanogen hints that it could offer better control over third-party apps than rivals like Google or Apple's Siri. You could tell Spotify to play specific songs or playlists, for instance. The software should show up in the "next version" ofCyanogen OS, so you won't have to wait long to find out how well this tie-in works. The gaming credentials of the new Apple TV appear to be somewhat less potent than rumours had led us to believe. In the run-up to last night’s reveal the new device had been rumoured to represent Apple’s long-expected foray into the world of living room gaming. However, it has transpired that apps for the device have for some reason been limited to a maximum size of 200MB. This seems absurdly restrictive, locking out a number of titles from the platform including the likes of Hearthstone (868MB), Her Story (1.7GB), Infinity Blade III (1.93GB), Don’t Starve (288MB), Fallout Shelter (205MB), DoDonPachi Resurrection HD (425MB) and many, many more. In addition, Apple TV doesn’t offer any local storage for apps, meaning all titles must access data from Apple’s iCloud. In theory apps larger than 200MB are permitted, but any files over the allocation will need to be accessed remotely each time. It’s not like the Apple TV’s default memory size is particularly restrictive, either, with both the 32GB and 64GB SKUs offering quite a bit in terms of storage space. That’s not to say that there haven’t been any concessions towards the games market with the new machine, however. As was correctly predicted, a touch and motion controller will be included in the box, and compatibility with Bluetooth game controllers is also included. 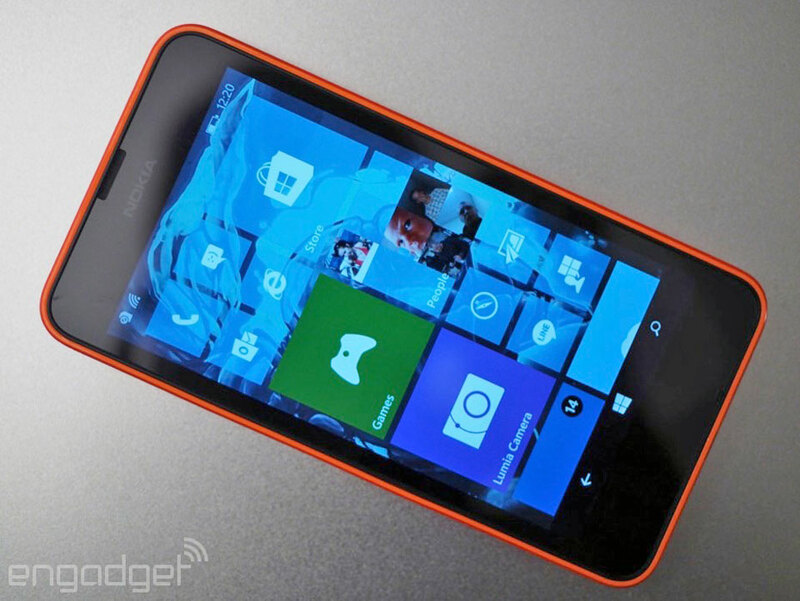 Nokia swears up and down that it's not returning to smartphones, but don't tell that to CNMO. 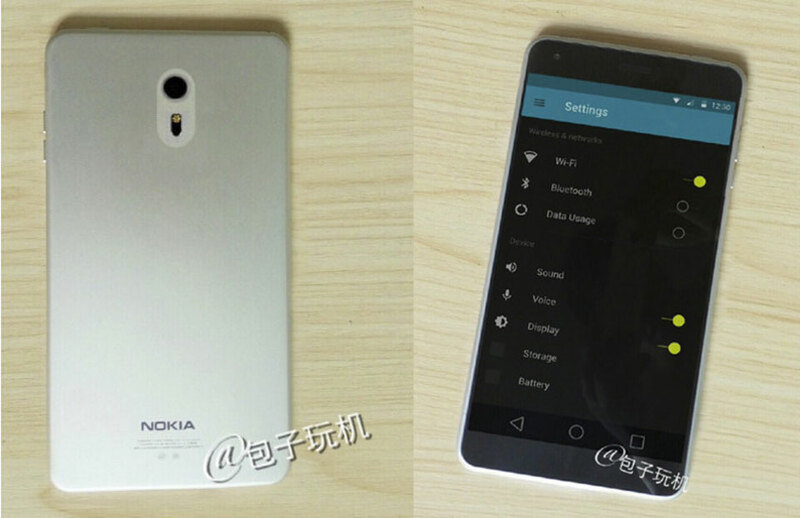 It claims to have leaked images of the C1, Nokia's first-ever Android smartphone and its first phone of any kind since Microsoft bought its original phone business. From all indications, it's a tiny version of the N1 tablet's design -- this is the same minimalist look, just translated to a 5-inch, 1080p display. Accordingly, you'd find budget-class hardware under the hood. The C1 supposedly packs an Atom chip and 2GB of RAM, and its only standout feature so far is its use of Android 6.0 Marshmallow. As it stands, you'll have to wait a while to try this device (if it's indeed real). Nokia's agreement with Microsoft prevents it from competing in the phone space until 2016, so this is more of a sneak peek at the company's future than a preview of an imminent product. 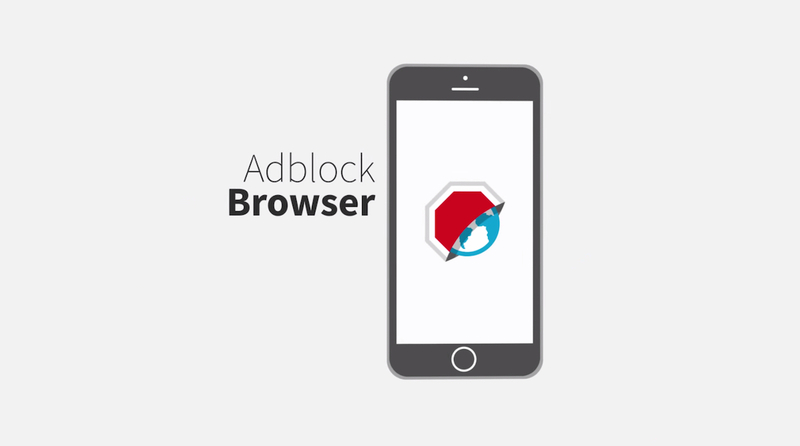 With more than 400 million desktop installations in its pocket, it was only a matter of time until Adblock Plus became available on mobile devices. Eyeo, the company behind the extension, first tested the water back in 2013, but when Google pulled the app, it decided that incorporating its filters intoAdblock Browser was the best way to go. After months of testing, the app has finally launched on iOS and Android devices, promising to let users "browse fast, safe and free of annoying ads" on their smartphone or tablet. The iPhone 6s might be what most people are waiting for (or that iPad Pro), but that doesn't mean Apple Watch owners aren't getting any attention. As expected, Cupertino just confirmed the first (significant) software update for the wearable will arrive next week -- September 16th. 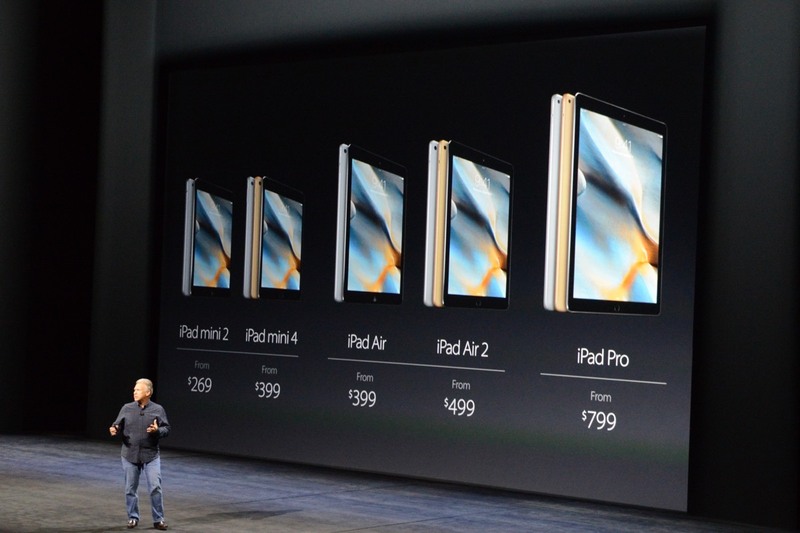 New iOS devices usually mean new processors, and sure enough, Apple hastaken the wraps off of some fresh silicon. 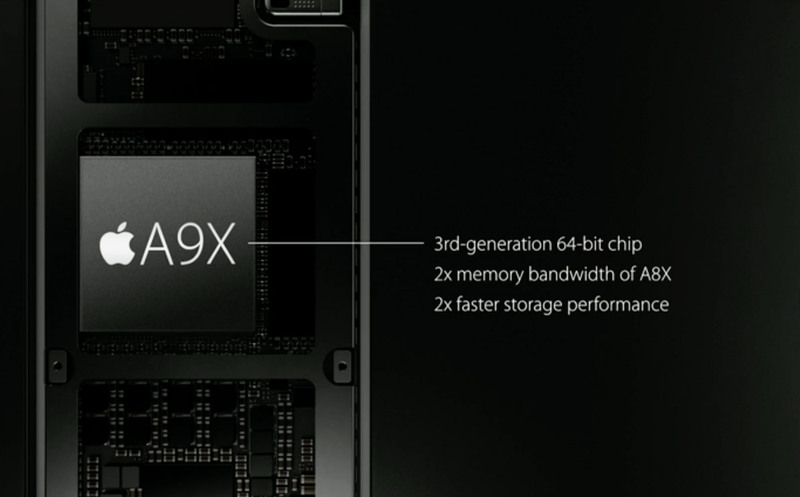 The A9X in the iPad Pro is a doozy, packing up to 80 percent better performance than the A8X from the iPad Air 2. It's a champ beyond raw computational power, too, with twice the graphics and storage performance as well as double the memory bandwidth. Supposedly, the A9X is more powerful than 80 percent of portable PCs released in the past year -- that's a bold claim that we'll want to verify for ourselves, but it's certainly promising. The new Apple TV is here, just unveiled at today's big event. Speculation about Apple's plans for the living room has circled for years, and this represents its most powerful assault on the space so far. A hardware refresh in 2012 added 1080p support, but not much else, so we're more than due for an upgrade, and exec Eddy Cue appropriately called today "a big day for the big screen." Tim Cook called it "the future of television," promising a new tvOS, App Store and showing off features including deep Siri integration with a new remote. That Siri Remote has a touchpad, mic and Wii-like motion controls built in, necessary for Siri to search across "multiple content options" (iTunes, Netflix, Hulu, HBO and Showtime, with more to come) on a single screen. Universal search is a feature already offered by competitors like Roku, Samsung, Amazon and Xbox that makes it easy to find a show or movie without having to know which service or app it's in first, and now it's on Apple TV too. There will be two versions of the new Apple TV: a 32GB model for $149, and 64GB model for $199, shipping in October to over 80 countries. Apple's iPad line has typically been the star of its own October event in years past, but the company is changing things up and including iPad updates in its big iPhone event today. The big news is the new iPad Pro, but Apple is also releasing the new iPad mini 4, the first substantial update to Apple's smaller iPad in almost two years. As the rumors predicted, Apple's 7.9-inch tablet has had its internals updated to be a near match for last year's iPad Air 2. That means Apple's A8 processor is on board, a substantial upgrade from the A7 the iPad mini has sported for the last two years. That extra processing power is particularly important, because it means the iPad mini should be able to run all of iOS 9's fancy new multitasking features. Last year, Apple bet big with the launch of the iPhone 6 Plus, finally giving Apple fans the phablet they never knew they wanted. While its size might not be everyone's cup of tea, it seems that Apple hasn't tired of the large screen, because it's decided to do another one: Say hello to the iPhone 6s Plus. Like with the iPhone 6s, the iPhone 6s Plus will also come in a new rose gold aluminum finish, plus the usual gold, silver and space gray. The display is purportedly made out of a stronger kind of glass and it has the same 5.5-inch size as it had before. But the most interesting feature here is a new kind of technology called 3D Touch, which adds pressure-sensitive Force Touch to the phone's display. Apple has completely overhauled the camera on the new iPhone 6s and iPhone 6s Plus, giving it much higher resolution and 4K video. 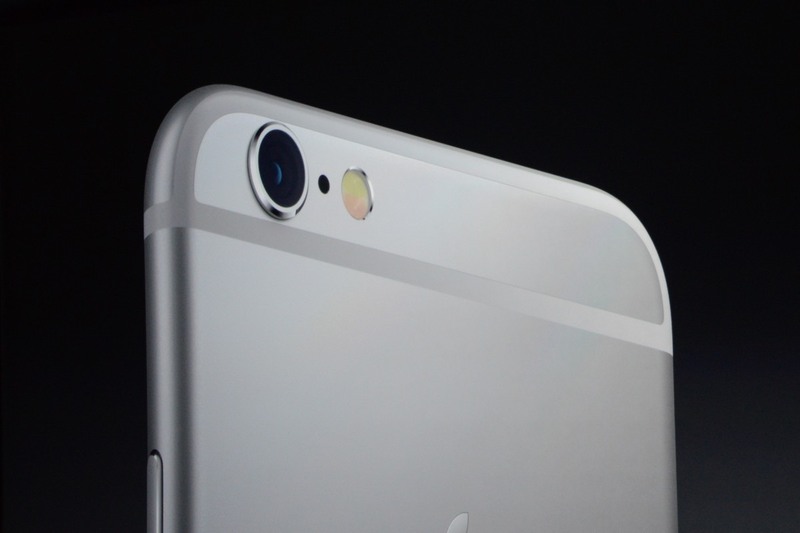 The new iSight camera now has a 12-megapixel sensor, 50 percent more than the iPhone 6's shooter. 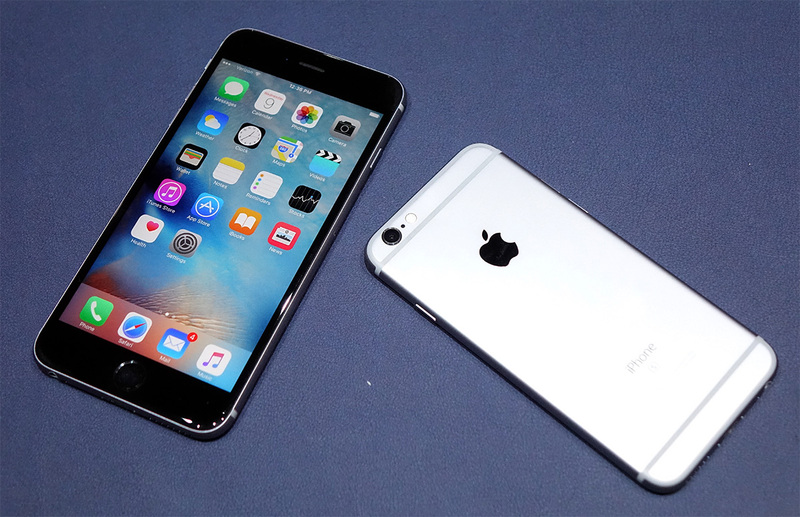 The new iPhones will also be Apple's first to go beyond 1080p video with Ultra HD 4K. Apple hasn't touched the pixel count on its last three iPhone models, which stayed at eight megapixels, despite other improvements. However, it clearly felt the need to counter rivals like Samsung's Galaxy S6, which has an excellent 16-megapixel camera. Guests online: 767. Total online: 767.